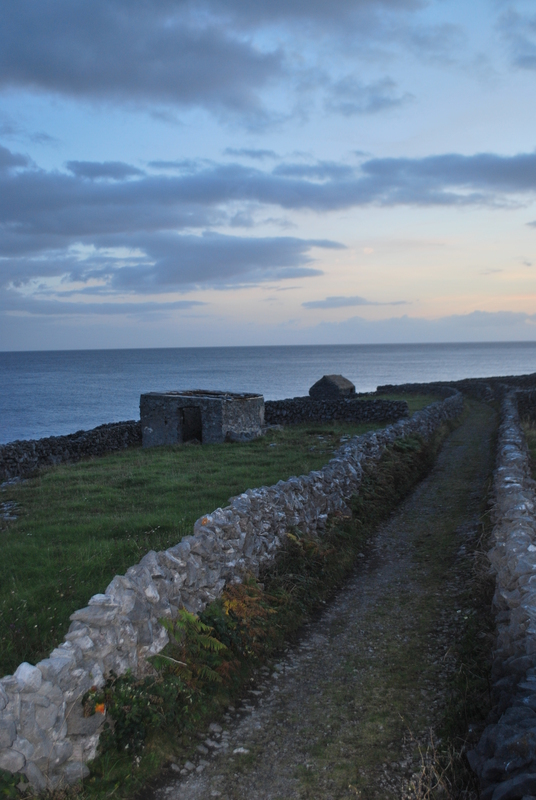 Inis Meáin is the middle of the three Aran Islands, It is also the most untouched and peaceful of the three. The island is a rocky landscape, slabs of limestone dominate the panorama with flecks of plant life emerging from the grykes. The flora and fauna is unique to the islands and the burren. Walking through the narrow roads and paths of the island you get the impression of walking through a maze carefully constructed stone walls criss cross the island. There is also a feeling of openness as the sky feels wide open around you and the Atlantic breeze is cool and fresh on your face. The history of the islands is rich with culture, there is a tradition of basket making and knitting that still carries on to this day. The sea has always played a central role in the lives of the island. Islanders fish from the sea and collect sea weed to eat and to use as fertiliser for their vegetable plots from the shore.